Provide comfort for the family of Laverne Billy with a meaningful gesture of sympathy. Laverne Billy, age 56, a resident of Los Lunas unexpectedly passed away on Thursday, January 3, 2019. Laverne was born in Winslow, Arizona on March 30, 1962. She was preceded in death by her mother and father; three brothers; and a sister. Laverne leaves behind her husband; two daughters; two sons; six grandchildren; as well as three sisters; and two brothers. She was a member of Calvary Chapel, she enjoyed fellowship with the ladies’ group on Tuesday and again at luncheon engagement on Thursday. Laverne was one of the last “stay at home” moms, she enjoyed raising her children and being a wonderful home provider. She will be greatly missed by all, but not forgotten by any. No services are scheduled at this time. Arrangements are being handled by the caring professionals at the Noblin Funeral Service Belen Chapel, 418 W. Reinken Ave., (505)864-4448, where an online guest register is available at www.noblin.com. To send flowers in memory of Laverne D Billy (Billy), please visit our Heartfelt Sympathies Store. We encourage you to share your most beloved memories of Laverne here, so that the family and other loved ones can always see it. You can upload cherished photographs, or share your favorite stories, and can even comment on those shared by others. 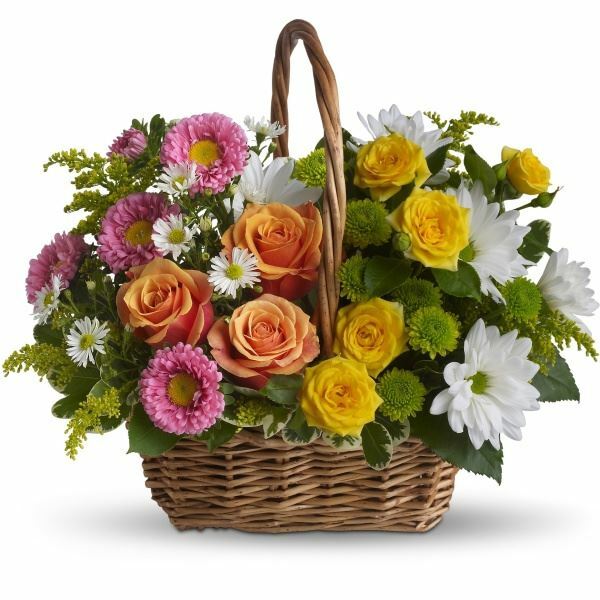 Doc,Mona,and Darlyne and Walter C Rauscher have sent flowers to the family of Laverne D Billy (Billy). Doc,Mona,and Darlyne purchased flowers for the family of Laverne Billy. Walter C Rauscher purchased flowers for the family of Laverne Billy.